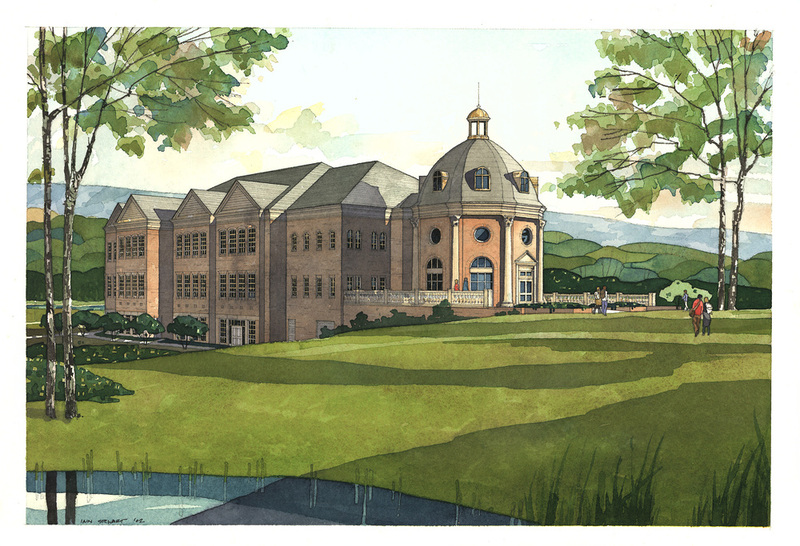 In 2002, our architecture firm in Virginia combined classical and traditional elements, in keeping with Virginia’s architectural heritage, to create a new school library for Christendom College’s school campus. 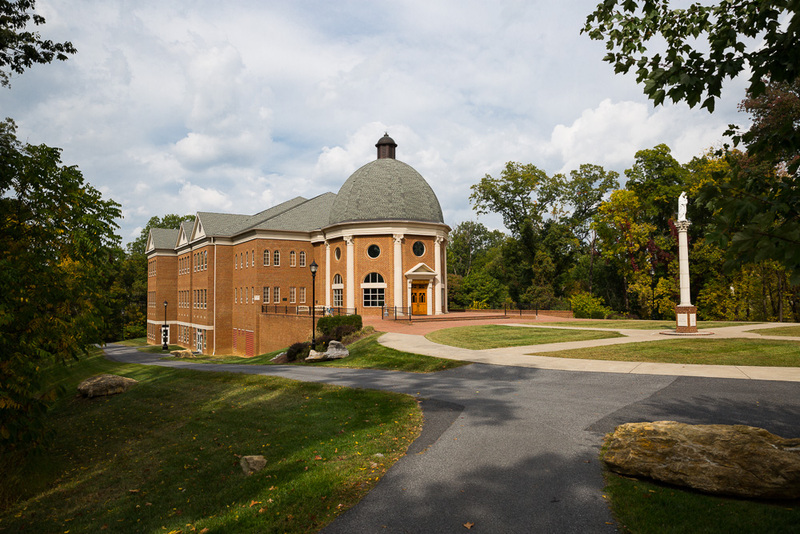 The basic form was inspired by the college’s guiding principles: the octagonal, domed entry hall stands as a metaphor for Faith, while the two-story atrium at the core of the library embodies Reason. 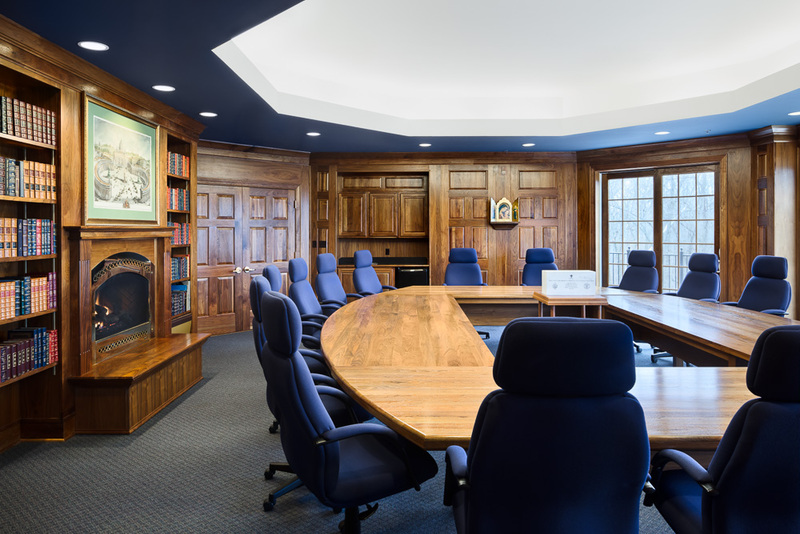 O’Brien & Keane also enjoyed the unique opportunity to design the furnishings and interior detailing to complement the architecture, including custom furniture, case work, paneling, molding, and doors. 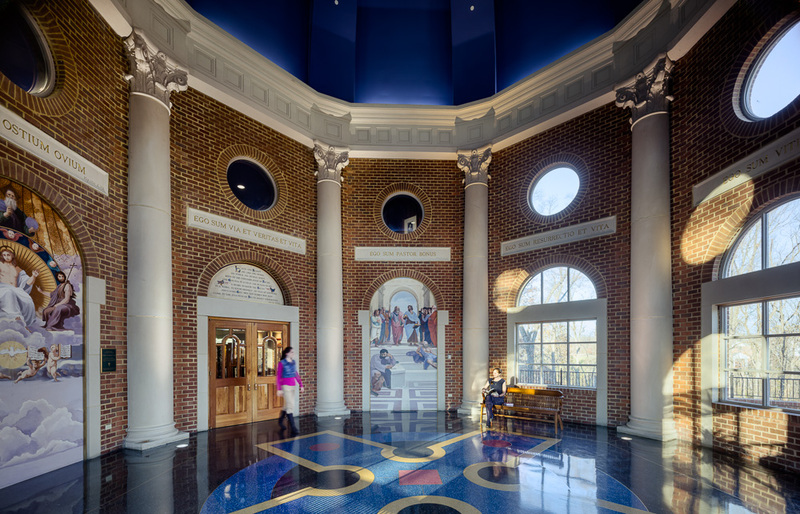 O’Brien and Keane specializes in Catholic Church design, combining traditional architectural elements – like classic marble liturgical furnishings, with modern innovation.